Visit of Fromelles, VC Corner, Cobber memorial and Pheasant Wood. In Poperinge we visit Lijssenthoek cemetery and the visitor centre and find out about the organisation of evacuation of the wounded. We visit also Talbot House where soldiers spend time during rest and recreation. 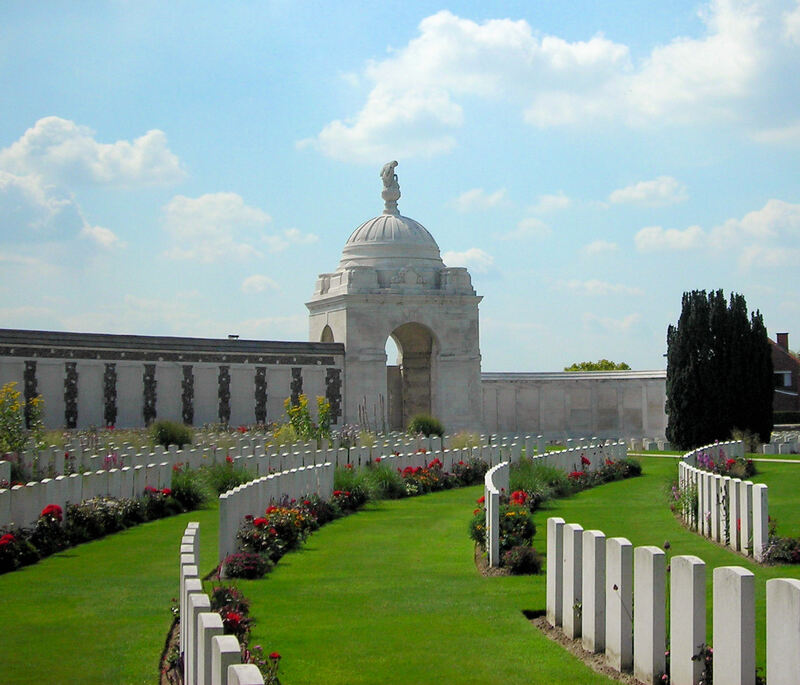 Tour of Ypres centre, the Ramparts, the Cloth Hall, St. Martins Cathedral and The Menin Gate. Evening ceremony of the Last Post at the Menin Gate. 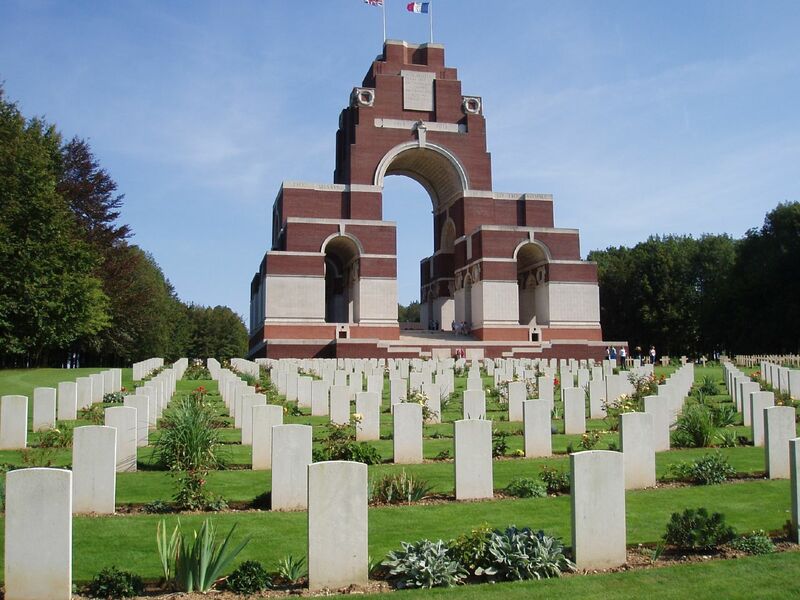 We visit the Somme, the Thiepval Memorial to the Missing of The Somme, Ovillers, Lochnagar mine crater at La Boisselle, Contalmaison, Fricourt, Mametz Wood, Pozieres (1st Div. Memorial at "Gibraltar", 2nd Div. Memorial at The Windmill site) and Mouquet Farm. Then we drive south to the Somme Valley via Albert, Morlancourt and Corbie. To the Australian Memorial and the Victoria School at Villers-Bretonneux, the battlefield park at Le Hamel, the Richthofen crash site at Vaux-sur-Somme. Visit to restored German trench system at Bayernwald, the "Messines mines" along the Ridge, Messines, New Zealand Memorial Park, Irish Peace Park, Ploegsteert (Plugstreet Wood), 1914 Christmas Truce field at St. Yvon, in St. Eloi, The Bluff, Hill 60 (1st Aus. Tunnelling Coy. Memorial), and The Caterpillar. Visit to the Ypres-Yser Canal, Pilckem Ridge, Wieltje, Railway Wood, Menin Road, Hell Fire Corner, Clapham Junction, the Gheluvelt Plateau, Polygon Wood (AIF 5th Div. Memorial), Broodseinde Ridge, Tyne Cot Cemetery at Passchendaele, German Cemetery at Langemark. Transfer to Lille or Ypres. Above tour can be tailored made to clients’ request.